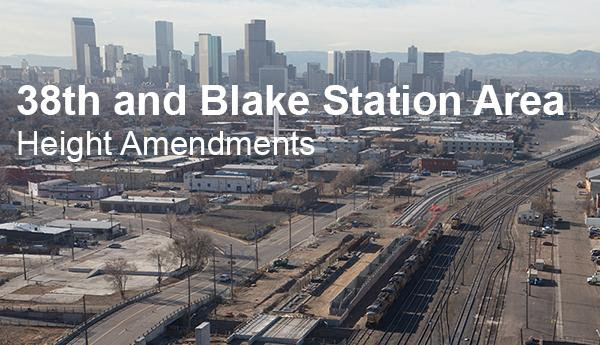 The third public meeting in the 38th and Blake Station Area Height Amendments planning process will take place tonight, Tuesday, April 26. Building on input from public meetings #1 and #2, this meeting will focus on refining a preferred building heights alternative while considering other important elements of a great transit-oriented development station area. Food and Spanish interpretation will be provided. For additional information or questions, contact Senior City Planner Tim Watkins (tim.watkins@denvergov.org). With the opening of the University of Colorado A Line just months away, the 38th & Blake Station will be the first commuter rail stop from Downtown to the Denver International Airport. Working with stakeholders and members of the community, this effort will refine the vision for building heights in support of transit oriented development.